If you are looking for something different to do in the Panama City, Bay County area, you have found it! We are the best time out, and you leave with something more than your to-go box. No experience is needed, we are Fun Art, not fine art! 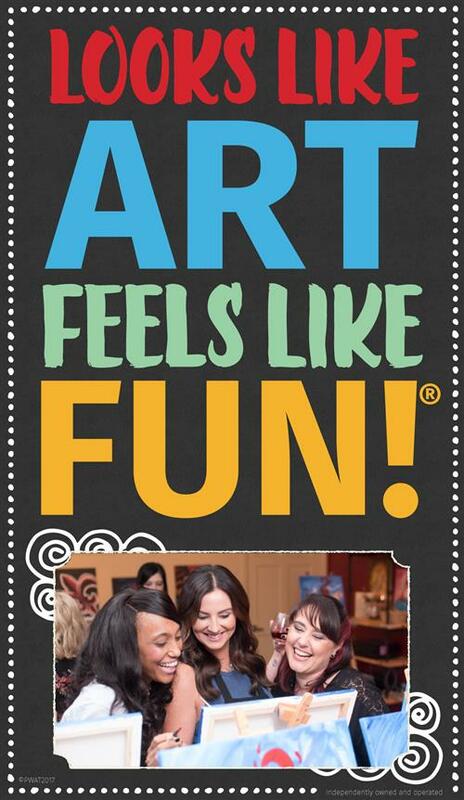 BYOB and uncork your inner artist with us! Check out our calendar, pick a painting (2 hrs - $35, 3 hrs. - $45). Click the painting to reserve your canvas. Arrive 10-15 minutes prior to the start of class with something to sip (yes, you may bring alcohol) and that's all you need to do. We supply everything needed to complete your masterpiece and promise an evening of fun! Our studio is mainly for adults, we do have family days and classes for the younger set occassionally each month. Unless otherwise noted, classes are for ages 18+. Private Party - for adults or kids are great for groups of (10) or more and you get to choose the painting you want from our library of over 10,000+ pieces of copywritten art. Gift Certificates - make a unique gift for any occasion and are available online! In order for class times to be honored there must be a minimum of 4 twisters registered 24 hours prior to event! Classes begin promptly at start time. If using payment other than credit/debit card you must call (850) 640-3287 24 hours prior to class! Follow us on Facebook to hear about studio events, get sneak previews of new art and our monthly calendar, participate in promotions exclusive to Facebook fan and more! **BYOB** Whatever you want to eat or drink! You must be at least 21 to consume alcohol in the studio. All classes or parties after 6pm Mon-Fri and 4pm Sat-Sun must be 18 or older unless otherwise specified. We recommend age 5 and older for Family & Kids Day and special children events. Hello Twisters, We are extremely appreciative of your patience and understanding after we rebuild from the devastation of Hurricane Michael. While we are making some small measures of progress however, there is still much to do. We have access to our most of our art supplies and materials and as a result we can certainly come to your location and offer the same experience you would have at the studio. Please contact us for details at (850) 640-3287. In the meantime, if there is anything we can do for you please let us know. We are panhandle strong and are committed to rebuilding and coming back stronger than ever. We would like to be your sense of relief during this devastating time. Let us bring the pARTy to you! As we rebuild our location we will be offering Offsite Paint pARTies at the same rate as we would offer our public in-studio pARTies. (All Offsite Fees Waived.) We will bring the party to your home or business while our studio is being repaired...........all you need are tables, chairs and a place with access to water where the artist can wash brushes and set up pallets and cups. We will provide all art supplies, music, games and prizes, you will have the same experience you would have at PWAT studio. 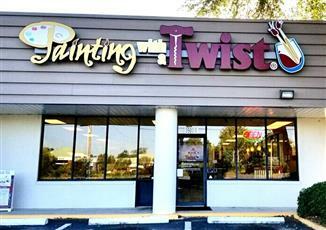 Email: studio156@paintingwithatwist.com or Call (850) 640-3287 for more info!